Become a crewmember on a traditional Samoan Va’atele and have the experience of a lifetime! The Samoa Voyaging Society is looking for adventurous and passionate new crewmembers for the Gaualofa, Samoa’s traditional Va’atele! 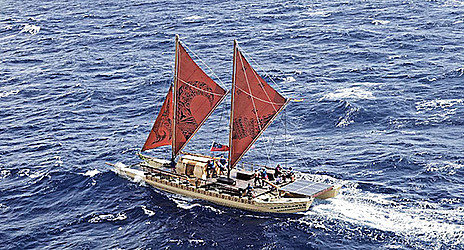 The Gaualofa is a 22metre long, double-hulled traditional voyaging canoe (or va’a) that is managed by the Samoa Voyaging Society (SVS) for Samoa and her people. It was one of the 7 canoes that travelled over 30,000 nautical miles in 2012 with the Pacific Voyager’s fleet – that’s more than the distance to circumnavigate the globe. Since returning from this epic voyage, the SVS and current crew of the Gaualofa has continued to voyage throughout Samoa and the Pacific, promoting environmental conservation and cultural revival of past, proud traditions. We now have the opportunity to recruit new crewmembers for Gaualofa to help promote this important mission around Samoa and other Pacific Islands. All new crewmembers will receive training in sailing, navigation and environment conservation as well as be a part of team-building activities with the existing crew. After training has finished, qualified crewmembers will spend several days a week sailing and maintaining the Va’a, before anticipated voyages this year to American Samoa, Tokelau and Hawaii. Anyone, 18 years and older – men or women, can sign up to become a crewmember between now and March 12th 2016. The SVS will then invite all people who signed up to an orientation day to detail more of what is involved in being a crewmember of the Gaualofa and answer all questions new recruits may have. "Being a crew member of Gaualofa has made me realise that family isn't only through blood. We as crew would face the rough seas together out in the open. I would sheet in and a brother would lock it off... Hand in hand we would overcome storms! 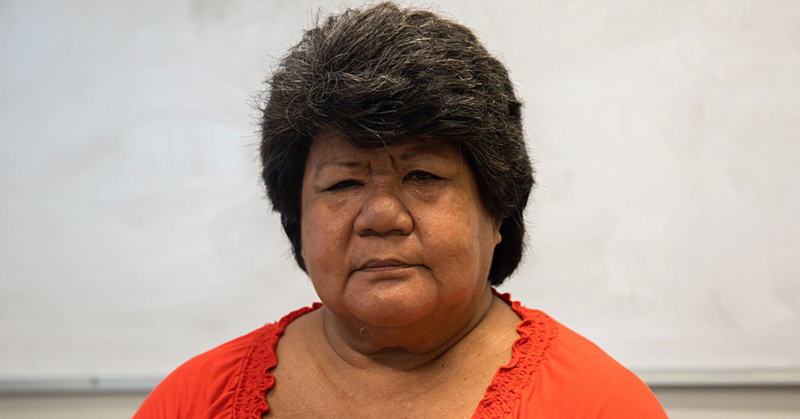 She [Gaualofa] gave me a new set of eyes to life... Like a second chance.” – S. Tafaifa, Gaualofa crewmember.